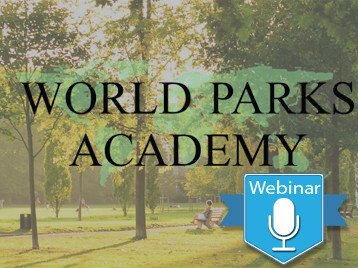 In this webinar participants will learn to think about green space as a canvas; a piece of art where people can interact with everyday landscape in a new and temporary way. Ralf Witthaus, International Land-Artist based in Germany, will provide examples from the Federal Lawn Show in Cologne and other lawnmower drawings to teach a creative and alternative approach to incorporate art in public parks. Ralf Witthaus, Crailsheim, Germany is international Land-Artist. He will provide examples from the Federal Lawn Show in Cologne and other lawnmower drawings to teach a creative and alternative approach to incorporate art in public parks. Understand the positive impacts of incorporating art in parks. Better identify the character of a place and the many possibilities to incorporate site specific design into public art e.g. cultural and historical values. Involve community in the design of public spaces in relation to art. Utilize different communication strategies to inform the public about the intrinsic value of parks. Have knowledge of temporary artistic interventions to create lively public spaces.